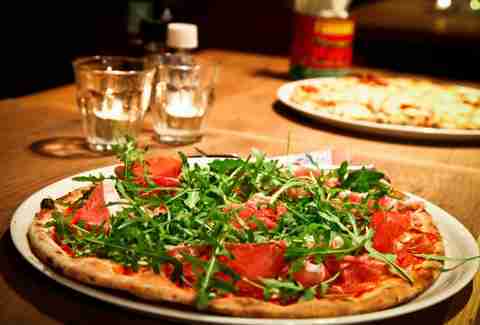 Amsterdammers are only human, and therefore love pizza. 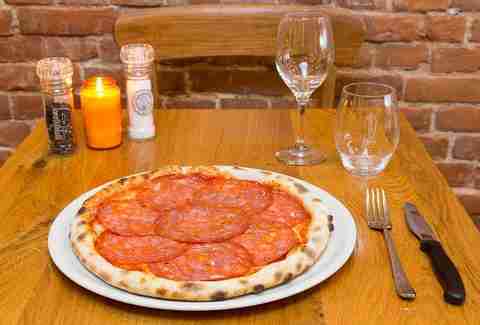 And despite the abundance of chains like Domino's, New York Pizza, and Turkish-Italian comfort food hybrids, we've got plenty of, well, real pizza in town too. 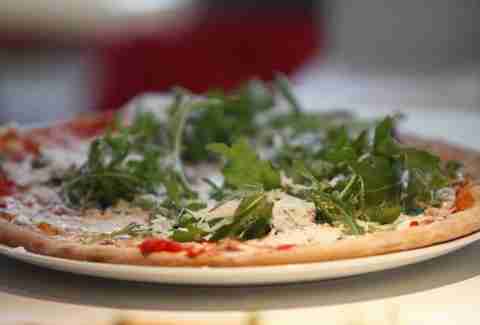 You know what we're talking about: pastry-style crusts loaded with inventive toppings and crisped to perfection, usually in a wood oven. 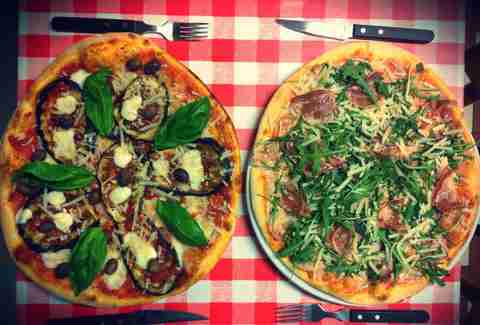 Here are 14 best places to get a truly Italian pie.. Most nights, the playful, leather-accented interior is surprisingly bustling for this somewhat sleepy shopping street. 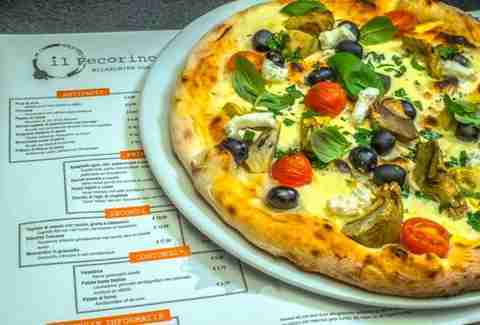 That comes down to the wood-oven pizzas that are a combo of a thin, supple crust topped with a zesty, tomato-y sauce and inventive Spanish-influenced topping combos, which are served next to a menu of pintxos: the other Spanish small bites. The pizzas are also available to-go -- you'll get a stamp for each and the 10th one free. However, on a warm day, the Steve Bikoplein terrace is worth sticking around for -- and for the cool nights, there are board games inside. In our rigorous research into public opinion (i.e., asking everyone we know what their favorite pizza place is), this is the name that came up more than any other. And no wonder: you're probably not getting a table (unless you have a good, long while to wait), but it's still worth a bike ride to pick up these thin and crispy pies coated in zesty tomato sauce, milky mozzarella, and toppings your taste buds won't forget. The homey, bare-bricks location isn't fancy, but it doesn't need to be. All your attention should be on the star attraction: the sourdough pizzas, the recipe based on way-back-in-Naples pizza legends. The ingredients scream fresh, and the sausage and several of the cheeses are even created on-site. The spot is unsurprisingly a favorite with homesick Southern Italians. "That boat bar way out near Panama" has been reborn as a pizza and grill restaurant. The boat itself (from the rooftop terrace through the serre with sliding glass roof and bar area with room for dancing down to the cozy bowels of the boat) is still worth the bike ride on its own. 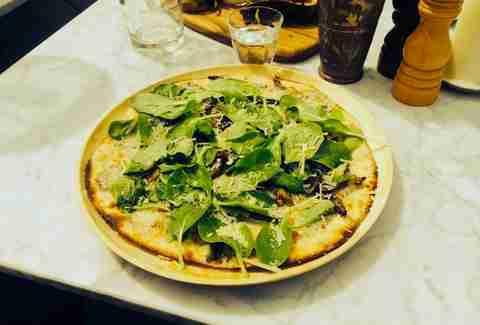 But if you're into flaky whole wheat pizza crusts loaded with, but never sagging from, plentiful fresh toppings, the destination is all the more satisfying. Pizza sibling bonus: Odessa a bit too far North and East for you? You'll find "big brother" Marathonweg bar & grill on the Southwest side of town. It feels like eating in a very chic Italian cafeteria with a surprisingly varied menu -- but we're here for the pizza, which is crispy and authentic. And if you get one without the truffle cream, you're doing yourself a disservice. Do treat yourself to a gelato for dessert as well (soon available to go). 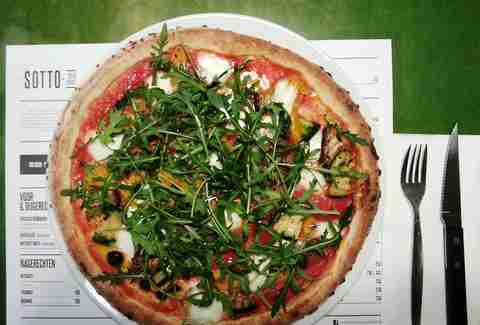 This classic- and clean-looking cafe's pizza & prosecco formula has proven so popular that there are now four Pizzabakkers in Amsterdam (and two beyond). However exciting the menu of bubblies, this chain's got a lot more going on than its scroppino machines (serving lemon sorbet, vodka, prosecco, and limoncello smoothies)... namely, some really original and consistent pizzas. Another chain of four in Amsterdam (and three in Utrecht and Laren), Da Portare Via's success has come from its dedication to simple, pure ingredients and traditional wood-oven cooking. Some of these locations are more for takeout than on-site dining, but what you're taking home is a thin and crispy crust topped with a balanced mix of flavor-popping toppings. Plus a tiramisu or chocolate mousse, if you're smart. Powered by imports directly from Italy and with a trattoria-style decor, Renato's sticks mostly to the classics for pure authenticity. The buffalo mozzarella is creamy and the dough is made fresh for each day and baked thin and crunchy (or not-so-thin in the Sicilian version), for a light overall effect with bursts of flavor from the traditional toppings. The bi-level restaurant looks like Tuscan pop art... and serves pizzas that qualify as a pan-Italian version of the same. It values fresh and local ingredients over keeping it strictly from the (say, Roman) source, and it shows in deliciousness. 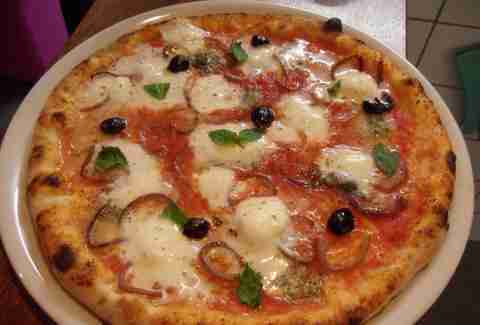 This is also the only spot on the list to offer a gluten-free alternative for the crust (cooked in a separate oven). SOTTO is taking over the Oud-Zuid pizza scene with two locations in the 'hood serving crispy crusts with soft, breaded interiors, topped with simple, high-quality ingredients, all by candlelight (okay, and some dim overhead lighting). 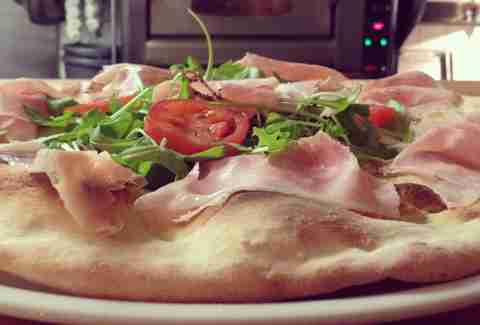 To them, pizza is a purely Neapolitan art... one that they take very seriously. 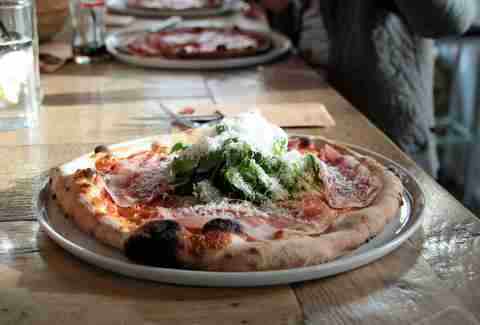 They trained with the True Neapolitan Pizza Association (AVPN), the mozzarella is made from buffalo milk, and the tomatoes are imported from the slopes of Vesuvius. This simple and authentic charmer with a "gezellig" courtyard terrace is hidden down a short (but HORECA-packed) alley. There's plenty of fast-food and tourist-trap pizza pits around the corner, but those in the know know that this is the best pizza game in this part of town. And now you know too. 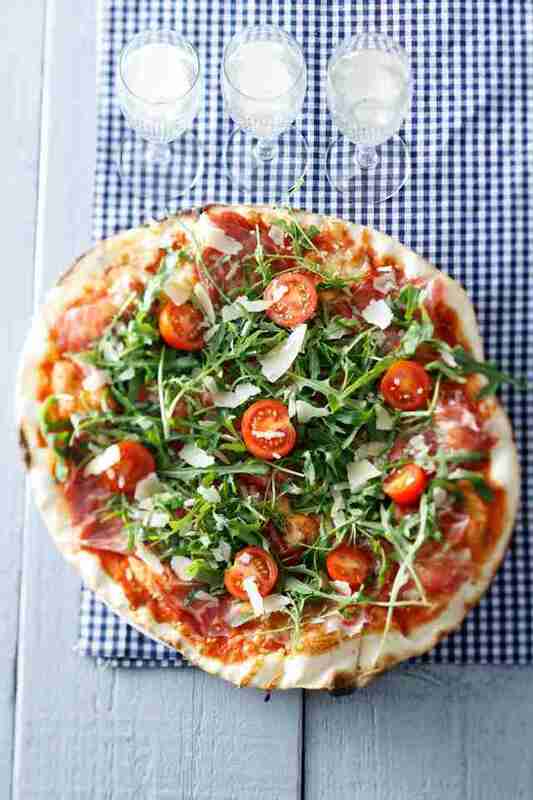 Wood-oven pizza offerings span the range from traditional to unexpected in this trendy pie tent. The restaurant doubles in popularity in the summer months, when the terrace is open until midnight. 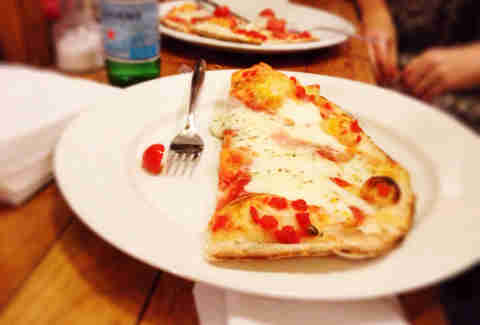 If we call this the best pizza available above the IJ, will anybody argue? (Some dare to argue it's the best in all of Amsterdam.) The denizens of Noord liked the pizzas so much that the original location had to shut up shop... and move to TWO new larger spaces decked out in Italian-cinema style. If you don't live in Noord, you'll want to head for the waterside (and, ahem, ferryside) Wilhelminadok. 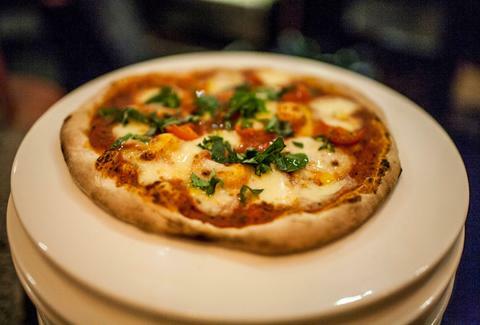 What you'll get is Neapolitan-style classics with fresh ingredients baked up in a wood oven. The look is rustic-Art Deco against oversize windows. The motto is "Italian slow food." 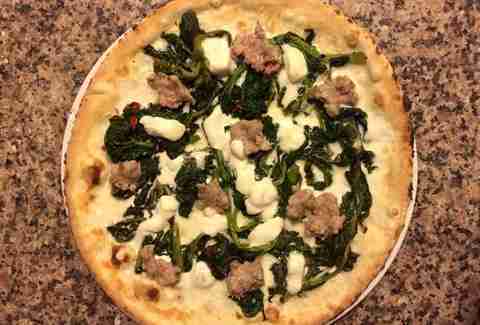 The pizza is a crunchy flavor-bomb, topped with rich ingredients like a creamy truffle sauce paired with spicy sausages. And now there's a second location!